Material: Brass,Lead Free and Nikel Free. 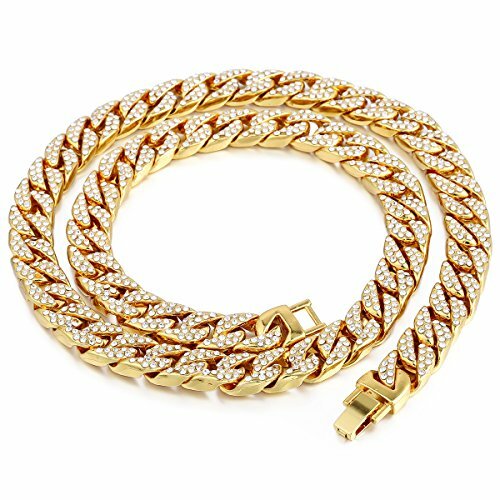 Width: 14mm , Thickness:6mm , Bracelet Length available in 8/9/10/11 inches,Necklace Length available in 24 to 36 inches. PS:the back of chain has no rhinestones!